Greetings fellow sketchers! 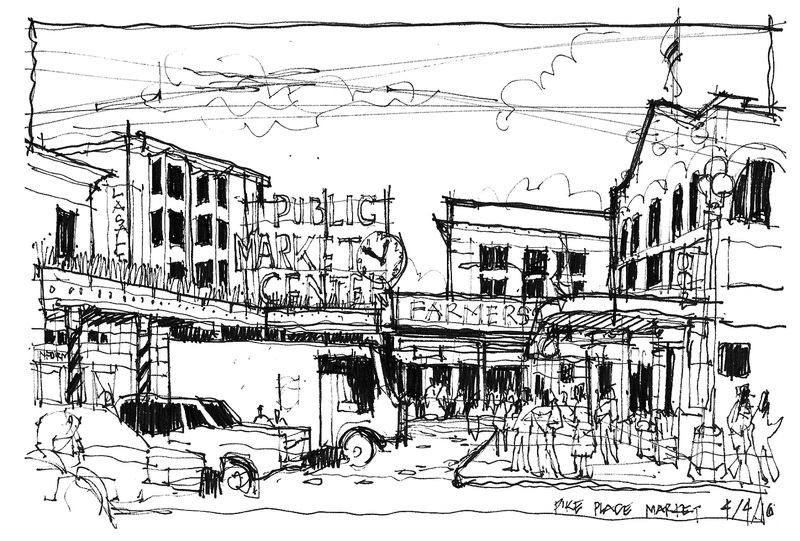 I am super excited to be writing my first post for the Urban Sketchers Seattle blog. It's been great meeting up, learning and sharing with fellow sketchers these past several months and I am looking forward to keep being inspired by this group of wonderful artists. My name is Andika Murandi. I was born and raised in Indonesia, moved to Oregon in 2000 to pursue a graduate degree and spent 14 years in the small town of Eugene. Yes, I am a Duck! :) My family and I moved to Seattle back in 2014 and have been loving it. 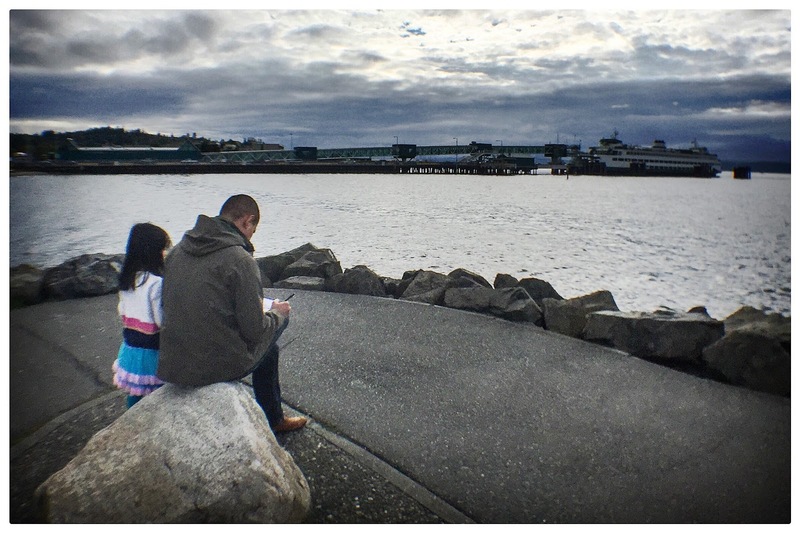 There is something about the Pacific Northwest that makes you want to stick around. I am married with 2 daughters who also love to draw. I guess it runs in the family. My love of sketching started when I took a permanent marker and drew all over the entire bedroom wall when I was 6 years old. 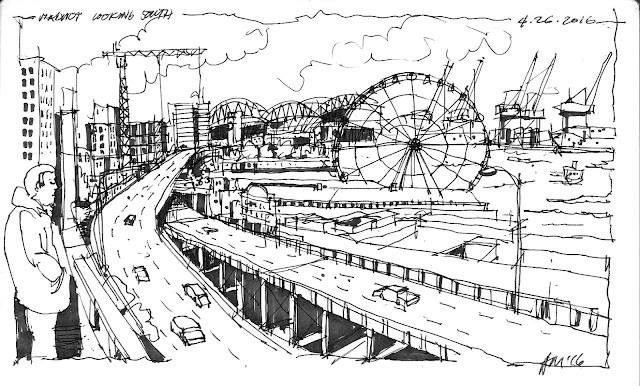 I love to draw stuff and that was the main reason I went to architecture school. 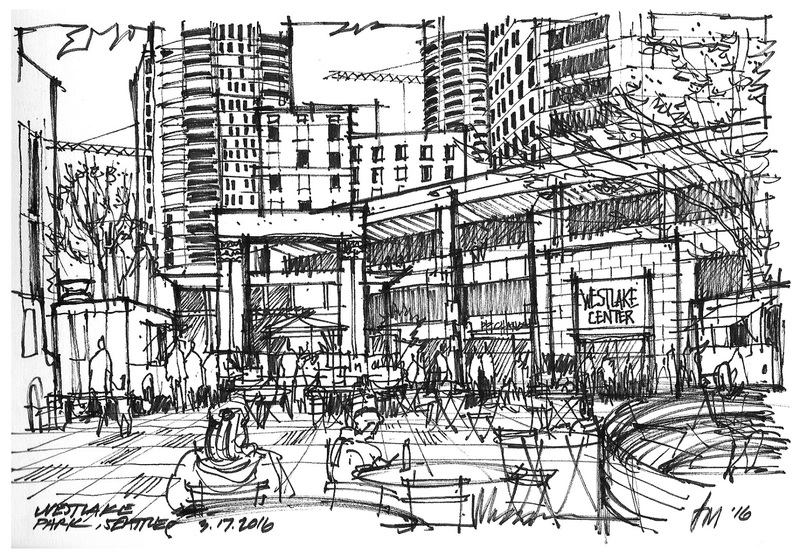 As a practicing architect, I always try to find time to keep my passion of hand drawing and sketching alive. I am one of the few in my office who still keep a drafting board on our desk. Working in downtown Seattle means there is never a shortage of things to sketch. I like to take a quick stroll during lunch time, and spend 15-30 minutes sketching on the spot to capture the essence of the place. It's a beautiful place we live in and I feel blessed to call it home. I am honored to be invited to contribute to this forum and look forward to many years of sharing. May we always sketch. A big welcome, Andika! I have been admiring your sketches on Flickr for a while now and will look forward to seeing your posts here! Thank you, Tina! It feels great to be a part of this community and I look forward to contribute more. Cheers! Welcome Andika! Look forward to seeing more of your work. It's got such vitality! Thank you Jane for the comment and for the invite! Cheers! Welcome, Andika! I've enjoyed talking with you and admire your sketches. I look forward to your future contributions here! Hi Kate. Likewise! It's great to be here. Hope to see you at the next outing. Great sketches! I look forward to seeing more of your work online! Thank you, Gail! I've been admiring your watercolor work! Cheers.